Checkout some of the features you get for FREE with GymBook. Create as many workouts as you want. Group and sort your exercises within a workout and setup your sets. Perfect for warm up sets or pyramid trainings: define different settings for each individual set. Choose from 50+ exercises with animated images showing movements and targeted muscle groups. Choose their language without changing your App's language. And if you need to, you can create your own custom exercises, as many as you want. Log your workout in an efficient way thanks to the innovative, minimalistic UI. Pre-filled pickers and functions such as Quick-Log make logging a piece of cake. Want to automatically move to the next exercise? Try out assisted move mode! Extend your logs with notes. Use it to write down how you felt during the exercise, to add a reminder for the next time or for anything you want - it's free text (you can even use Emoji icons)! 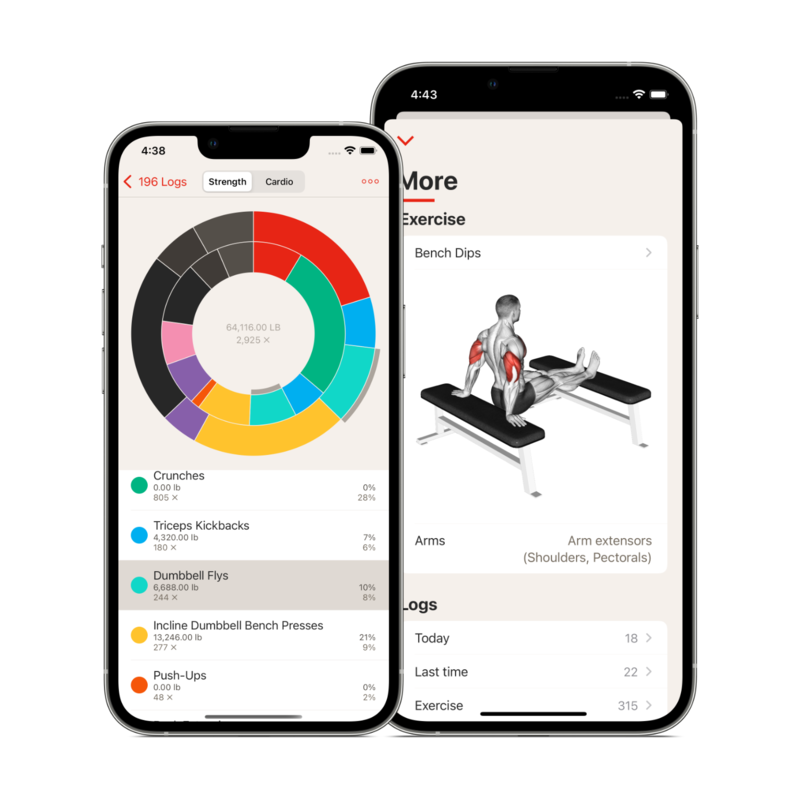 The innovative Workout Matrix and the progress bar give you always a detailed overview about your current workout. In addition, you can always see your exercise's previous logs and the exercise's statistics as a line graph. Time your pauses using either the global timer or a timer specific to each workout exercise. You can obviously choose from different durations. Need a more powerful timer? View your logs grouped by workout, by exercise or other grouping options and check out information such as average or total repetitions using the clear and interactive line graphs and pie charts. Choose between metric (kilograms, meters) and imperial (pounds, feet) system of units. The App and exercises are available in English, German and Italian. The App is also available in French, Spanish, Portuguese and partially Russian. Want to provide a translation for your language? 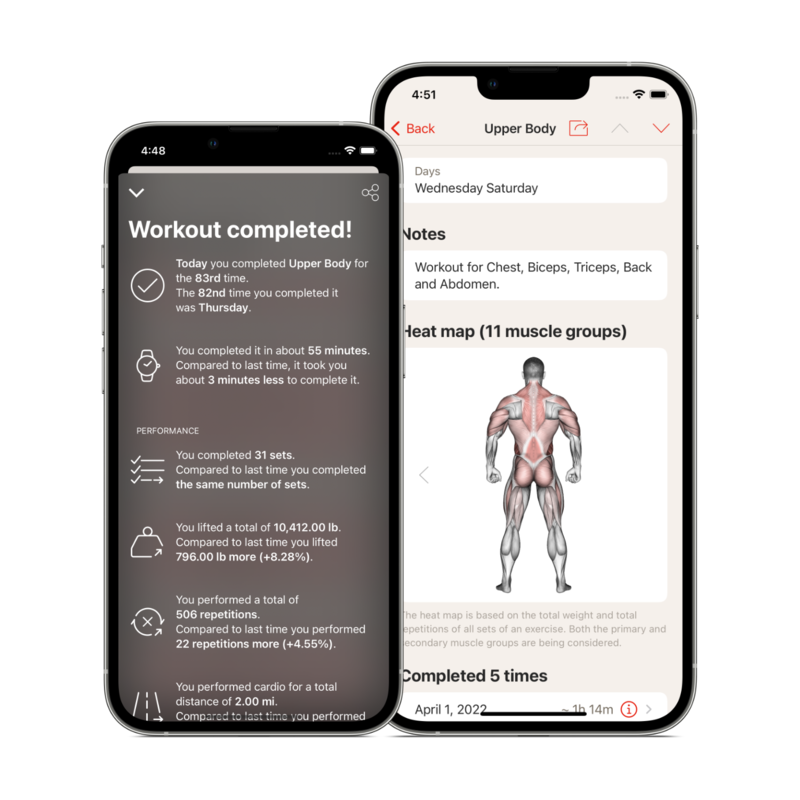 Check out how your muscle groups are being trained based on the repetitions and the total weight of the exercises in your workout. Track your body measurements and analyze your progress in interactive line graphs. You can track basic information (weight, height, body fat, body water and muscle mass) as well as circumferences (neck, shoulders, chest, upper and lower arms, waist, hips, thighs and calves). 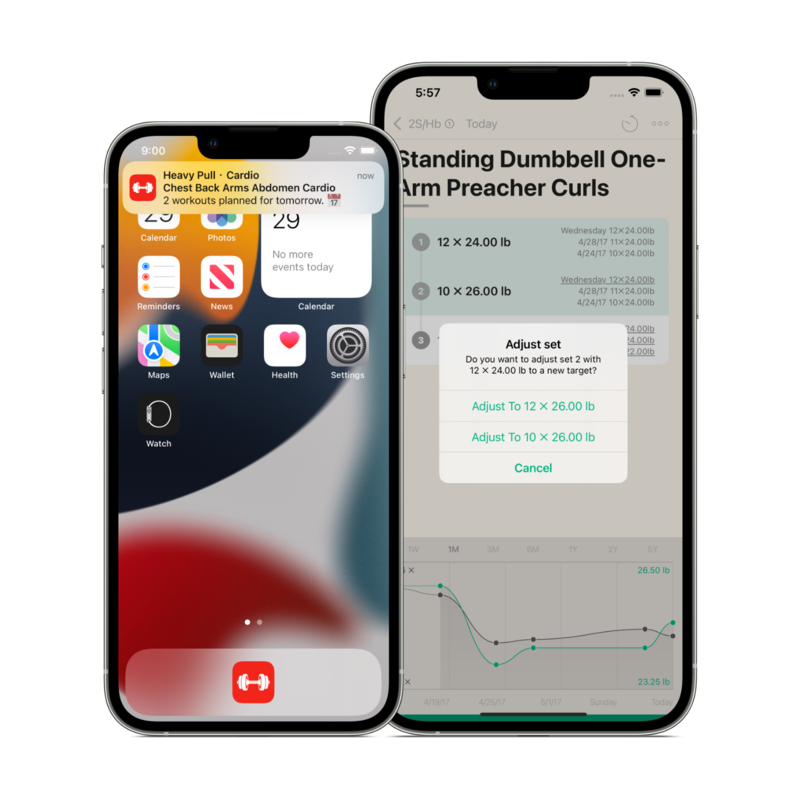 Completed workouts with their date, start time, end time duration, name and optionally active calories are automatically saved to the Health app upon completion. 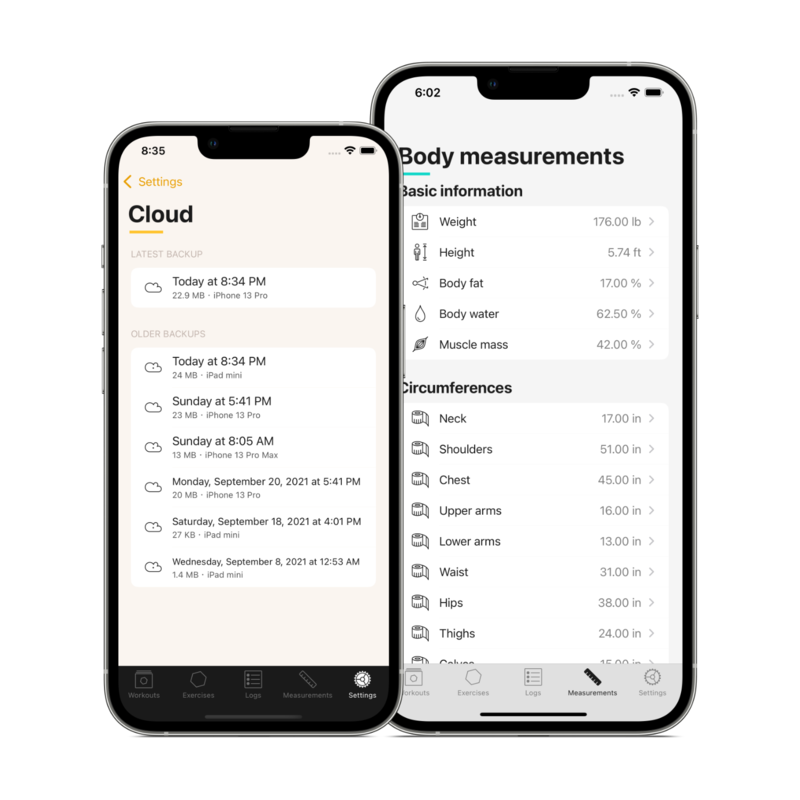 Some body measurements (weight, height, body fat and waist circumference) will also be synced with the Health app. 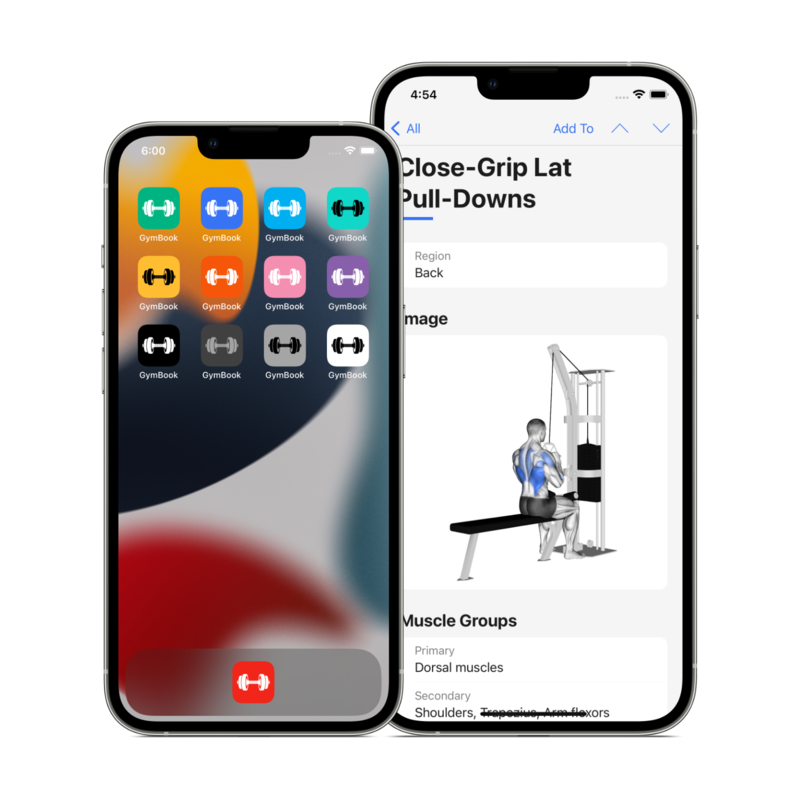 Use GymBook for Apple Watch to log your workouts directly from your wrist and whilst keeping your iPhone in your pocket or even at home. GymBook comes with no ads, even in the FREE version. Link to GymBook from other apps and websites. The supported URLs are gymbook://, gymbook://workouts, gymbook://exercises, gymbook://logs, gymbook://measurements and gymbook://settings. The free version of GymBook already provides tons of functionalities. By activating some of the extra features you can make GymBook even better and support its further development. Choose from one of the seven designs, choose the one that brings out the best in you during your training. Or the one that fits your outfit best. And if you can't decide, give the random function a try! Make your timer even better: set a secondary timer, activate the graphical timer and change the sound of your timer. Don't want to start the timer each time after an exercise? Enable timer auto start! Export your precious logs as CSV and XML files and backup all your data as a database file. Your logs can be used outside of GymBook and your backup can easily be imported back into GymBook on any other device. Immediately get additional exercises for a total of 100+ exercises and get a free pass for all exercises that we will add in the future. Stay focused on your workout and make sure you keep getting stronger thanks to GymBook's assistance functionalities. Upload a backup to iCloud and restore it on any of your iCloud devices. Any feature you purchase makes you a GymBook supporter who contributed in making GymBook better. Thank you for that! The feature packages Bronze, Silver, Gold and Platinum bundle GymBook's extra features. Check it out! GymBook has more than 50'000 users all around the world. 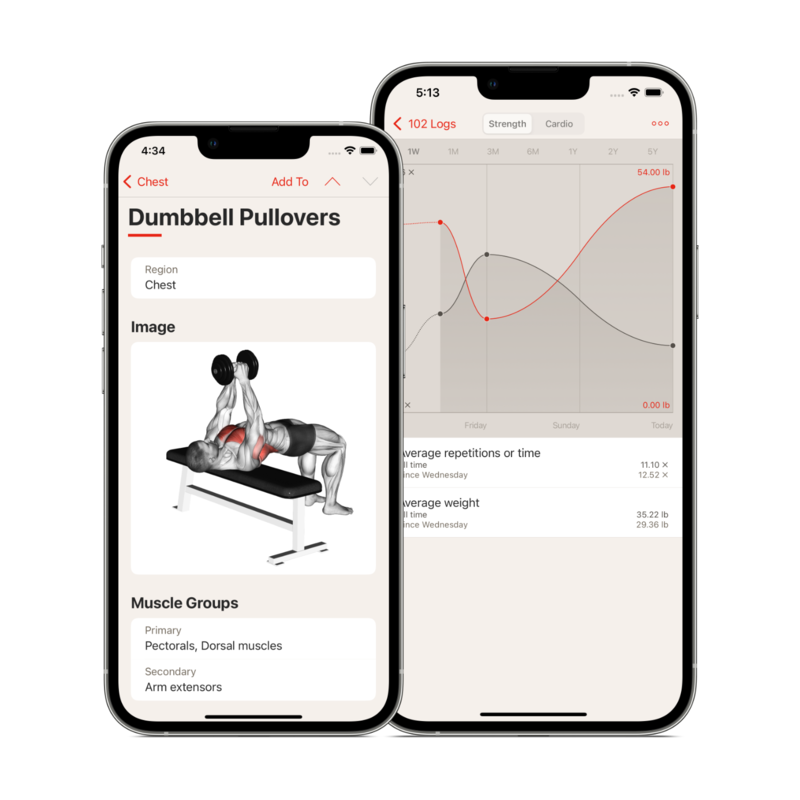 Great App that provides a lot of functionalities, a good set of exercises and is continuously being improved by the developers. 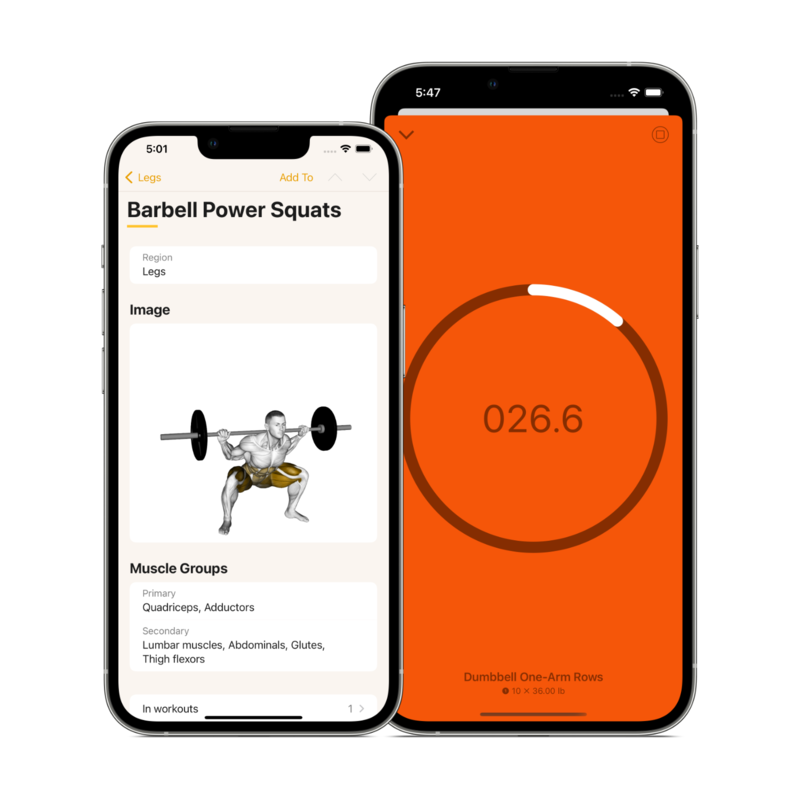 If you are looking for a basic gym log app look no further. Ich benutze die App schon seit langem und ich wurde noch nie im Stich gelassen. Migliora notevolmente a ogni aggiornamento. Gym Book is great for motivation and making sure every workout is at 100%. Great little app! Well worth the price. 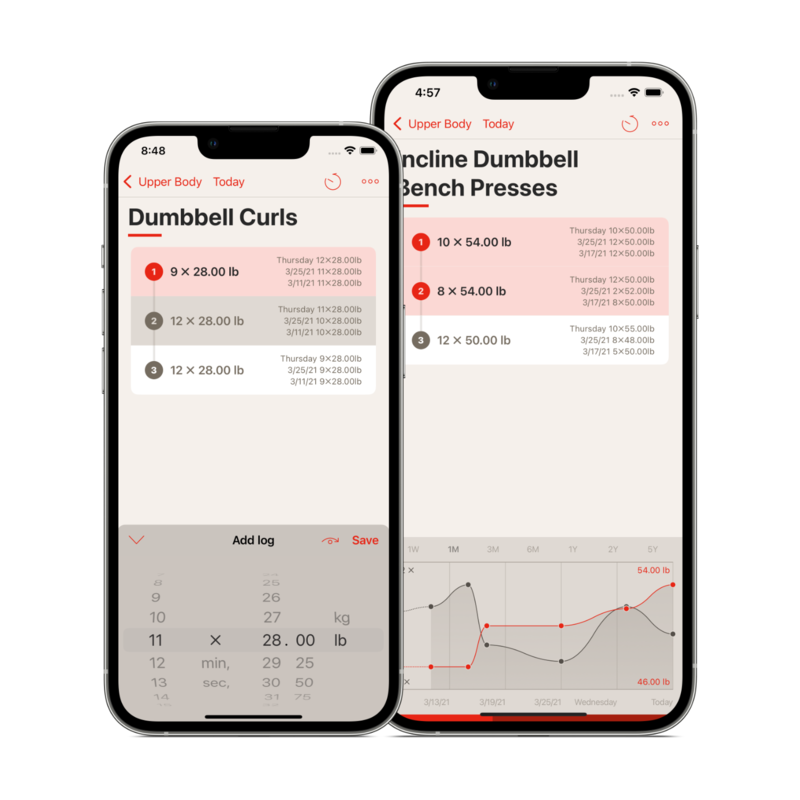 This app is a clean and easy way to track my daily workouts so I can see the progress I’ve made and know when it’s time get more weight on the bar. Get in touch if you have questions, if you have feature requests, if you want to report a bug or if you just want to say hi. You can support GymBook in many different ways. Most of them don’t require you to spend any money and all of them contribute in making GymBook better! Give us a 5-star rating in the App Store and help us to significantly increase the visibility of the App which in turn contributes in adding new features and making the App better. GymBook is a product of years of experience and feedback from our users(check out GymBook’s Story). You are missing a functionality? There is something bugging you? Contact us at support@gymbookapp.com! Join our beta testing program and help us test a new version of the App and find bugs before we release it. Interested? Request an invitation! GymBook is not available in your language? Check out our open source GitHub project, where you can provide your own translation of the App. You can always increase GymBook’s functionalities by activating the extra features. This not only makes GymBook even better but it also helps us pay our Gym memberships, buy our protein drinks and upgrade our MacBooks. If you want to boost GymBook's further development you can always donate a free amount. Every donation is highly appreciated and will be reinvested into GymBook – we promise!